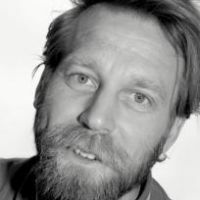 Since Mr Tony Law's breakthrough in 2011 – winning the Amused Moose Laughter Award with his Edinburgh Fringe sell-out show Go! Mr Tony! Go! – he has grown to become one of the most in-demand live acts in the UK. His 2011 success culminated in winning the Chortle Best Breakthrough Act Award. He sharply bettered this in 2012 with Maximum Nonsense – which was nominated for the Foster's Edinburgh Comedy Award, won the Chortle Best Live Show Award (and helped Tony scoop the Chortle Best Club Comic Award to boot) and in Spring 2013 toured to sell-out crowds across the UK (including 2600 people in London alone at Soho Theatre and the Udderbelly Festival). Relentlessly creative, a third solo show in as many years – Nonsense Overdrive – premiered to another total sell-out run at the Edinburgh Festival Fringe in August 2013. Nonsense Overdrive enjoyed a sell-out 60-date UK tour, including a sold out five weeks at Soho Theatre in December 2013 (playing to almost 4000 Londoners). In April 2014, Nonsense Overdrive returns to the capital as the headline comedy show of the Udderbelly Festival at Southbank Centre, where its expected to play to another 2000 fans of Tony's unique comedy. Throughout all of Tony's solo show success, he has continued to be one of most in-demand and much-loved club comics, headlining comedy clubs and festivals all across the world. His recent TV and Radio credits include: BBC1′s Have I Got News For You; BBC2′s Never Mind The Buzzcocks, The Culture Show, Charlie Brooker's Weekly Wipe, Heading Out, Stewart Lee's Comedy Vehicle; BBC3′s Russell Howard's Good News; Channel 4′s 8 Out Of 10 Cats; Comedy Central's Alternative Comedy Experience; Sky Art's Set List Show; Radio 4′s Tony Law's Surreal Guide to Surreal Comedy, Infinite Monkey Cage, Dilemma and many more.